John lay in bed, unable to sleep, unable to so much as close his eyes. They were trained on the ceiling, nothing but darkness to see. He tried with a great desperation not to think, not to remember the day he and Sherlock met, the moment their first case together was solved, all the cases they went through together. He didn’t want to think about all the Christmases or Thanksgivings or birthdays. 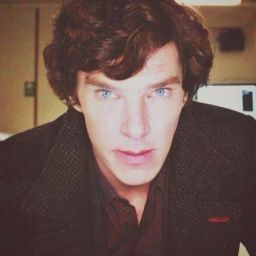 He tried to push away Sherlock’s smile, those ever curious eyes, and those damn cheekbones. John couldn’t think about the fact that he’d never see Sherlock pop up his collar again or call someone an idiot or any of it. Instead, John focused on keep his mind blank, filling it with static, and keeping the rest of himself numb. He focused on keeping that hollow ache in his chest as bay anytime a thought of Sherlock rolled around in his mind. In the beginning, John had been convinced his heart had stopped the moment Sherlock jumped, but no. It had paused, shocked, waited for the body and brain to catch up with the rest of the agony, the pieces of his body and heart barely keeping together. Since then, since the funeral, John has been drifting carefully, trying to hold himself together. Eventually, John’s heart started up again, but each pump filled his heart up and then popped it. Each time it was more and more painful. Each time, John knew every beat he felt, was another one Sherlock wouldn’t. Hours went by and John didn’t move. Not when the sun came up, nor when it high tailed it for the horizon again. John couldn’t bring himself to remove himself from his bed, couldn’t bring himself to shatter the reality he was building himself in the silence. At some point, Mrs. Hudson came in, said something, pled with him. Or at least, that’s what John thought. He couldn’t really hear anything anymore, not much over the static anyway, and could barely see anything beyond the darkness. Maybe his brain was finally shutting down, giving up on processing things properly. But he was sure he’d heard his name. Time began to blend together and after a while, John couldn’t tell if he was sleeping or if he was awake. Everything was the same. Nothing continued to happen. John stayed in bed. Life went on outside the walls of the flat. Deep inside, he knew he should’ve moved, went to work, tried to pay the bills. But it felt like nothing mattered anymore. What’s the point? To any of it? There was none. It was all dismal. Hopeless. For the first time in what felt like ages, John moved. His head turned to the side and he could feel his chest actually rise and fall with cool breaths. He blinked, his eyes feeling dry. His body felt like an old computer trying to start up, could felt the weight of lifelessness lifting off of him. There was nothing there. Just endless darkness. “Hurry up, John,” Sherlock said again, his voice fading down the wall. Unsure if he was dreaming or not, John pried himself from the bed and wobbled out of his room, clinging to the wall like he were drunk. He was so tempted to run, to follow the voice into the light, but terror held him back, kept him at a stop and go pace. What if the light came on and Sherlock wasn’t there? Once at the kitchen, John stopped. He didn’t want to turn on the lights. He didn’t want to know if Sherlock wasn’t there. He didn’t want to completely obliterate what sanity he had left. John closed his eyes, took a deep breath, and pressed a hand to the switch. His gut twisted and he cringed when he flipped on the lights. It took him a moment, to pick up his courage, and have a good hold of it. It was another several deep breaths before he could even open his eyes. The light was blinding and John’s eyes slowly adjusted, but when they did, there was no set of dark blue eyes meeting his. There was no curling hair. No- no nothing. Sherlock wasn’t there. Gone. Dead. Forever. John was alone. His heart crumbled away and the strength he had left within his body in as a wild cry, and he dropped to his knees, hand to his heart like it were a gaping, bleeding wound. God, he was so alone. Why did Sherlock have to jump? They could’ve figured it out, all of it. From Moriarty’s false identity to how to bring him down. Sherlock would’ve found the hole in his story, would’ve proved Anderson and Sally wrong. Those two morons would’ve had to apologize for everything. But he didn’t give himself the time. He was too hard on himself. Sherlock closed off everyone. Even John. Sherlock kept himself alone, and now they were both alone. Truly, utterly alone. John sobbed for the first time, the only time, since Sherlock’s funeral. He cried until every emotion he buried away rushed out of him; the tears kept coming until they came no more, until he was a hollow shell on the floor of the kitchen. No one came to his aid. Not Mrs. Hudson and certainly no voice of Sherlock. He was abandoned. He was alone. When there was nothing left, John crawled to the kitchen table and pulled himself into a chair. He dropped his head on the cool surface of the table. His eyes closed and he didn’t move again. A long awaited slumber, deep and unrelenting, came down on him, consumed him, and submerged him in darkness. Stirring, John’s eyes flitted open to see Mrs. Hudson staring down at him. Her eyes were shrouded in dark circles, rimmed in red. John felt a wave of guilt press down on him, knowing he’d done nothing to help the growing worry lines on her face. “Are you alright?” she asked, clasping her hands together. Without realizing it, John began to shake his head. It was a note that John hadn’t noticed on the table, words scrolled across it in that familiar hand writing that Sherlock had. Break in the case, couldn’t wake you. I’ll be back soon- S.H. John stared at the words, a familiar ache in his chest as he recalled the first time he read those words. 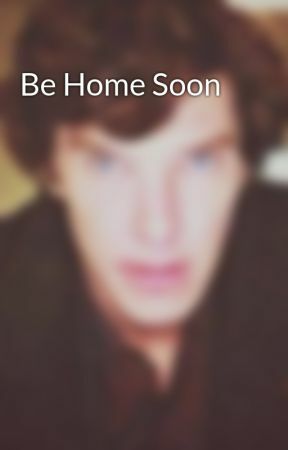 He remembered being so furious Sherlock left without him that day, remembered scolding him when he arrived home. That case, it had been their most exciting one in weeks, and they had stayed up the entire night previous trying to figure out a key detail. John, at some point during the night, fell asleep and awoke some time later to find the note. But there was something else that John remembered. He had thrown the note out.